Check out this awe-inspiring article by Sign On San Diego! Our nation's largest artificial reef is helping to enhance our oceans; it will boost habitat for marine life, improve fishing, provide great diving and much more . In addition, the project has achieved 9 of 14 benchmarks in its first year. Keep up the great work! "A major initiative to boost sea life appears to be paying off in the coastal waters near San Clemente, where power companies spent $46 million to build what is touted as the nation’s largest artificial reef. 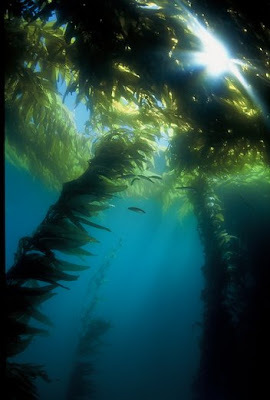 Growth of the kelp forest at the Wheeler North Reef is a sign that the artificial reef is thriving. Independent monitoring by scientists at the University of California Santa Barbara shows that the reef reached nine of 14 benchmarks during its first year of operations. Power company officials said Wednesday they are poised to meet the other standards, perhaps this year. The Wheeler North Reef is part of a piecemeal strategy by ocean advocates for using artificial reefs to boost habitat for marine creatures, improve fishing and provide more opportunities for divers. It was required by the California Coastal Commission to make up for the ecological damage done by the San Onofre Nuclear Generating Station in North County, which is owned by Southern California Edison, San DiegoGas & Electric Co. and Riverside." Its about time we see some good going on in our oceans. More of these would be great!